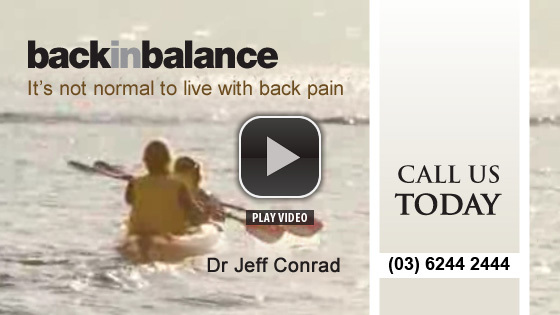 Hobart Chiropractor Helps You Get Back to Life! Pain, whether it’s chronic or the result of a recent injury, interferes with your ability to enjoy life and perform everyday tasks. At Back In Balance we want to help your body to perform optimally. Take some time to get to know us before you call for an appointment. We want to earn your trust, relieve your pain, and enable you to resume life as usual, or better! We know that every individual is unique. Your care plan will be designed to meet your specific needs. We’re Here To Help, Call Today! We know trust begins with a relationship, and we look forward to getting to know you. Browse our site and when you are ready, call for an appointment to begin your care! We’re here to help. FREE ten-minute talk with you on a consultation basis to allow you to ask questions, discuss your options and get to know him. Give him the opportunity to help you and to earn your trust before committing your spine to his care.